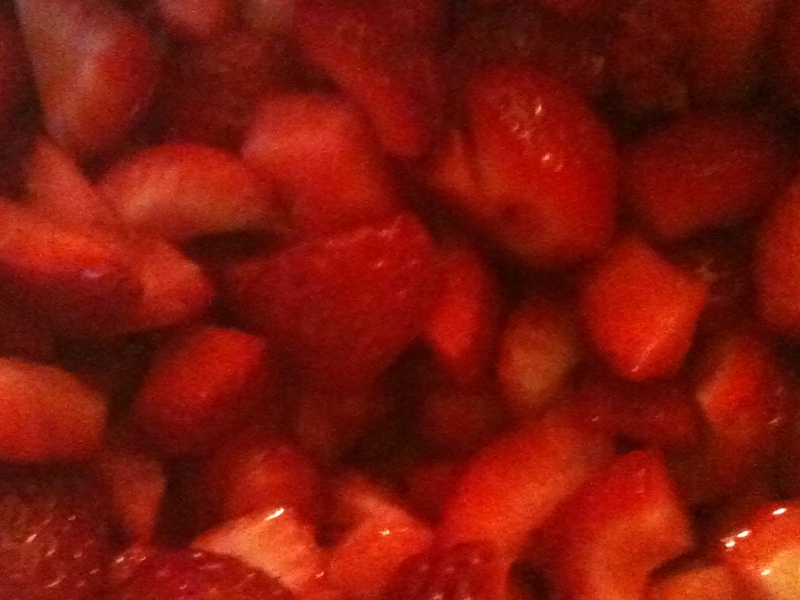 Ever brought home a pint of strawberries, only to find that they’ve spoiled within a day? It’s frustrating, because much as they are tasty, it can be tough to eat an ENTIRE container the same day it’s brought home. 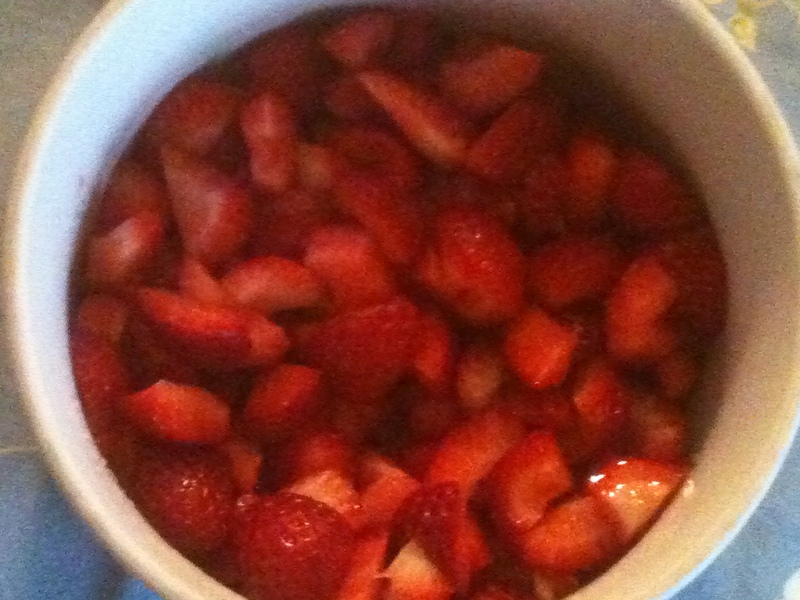 Sliced strawberries, sprinkled with sugar, will keep in the fridge for up to a week. I think it’s the sugar that protects them from spoiling. You don’t need a lot, just a spoonful or two. If you are going to eat them right away, the flavor will come out if you slice them, sprinkle with sugar, and let them sit for about 20 minutes. If the strawberries have been sliced, sugared and refrigerated, I recommend letting them come back to room temperature before serving.